An MBA degree is always considered as a lucrative career option. A full-time classroom-based MBA offers an immersive experience along with an accelerated carer boost that other forms of learning can hardly match. If you are entering the job market with an MBA from a top international business school, then the salaries could be really enviable. 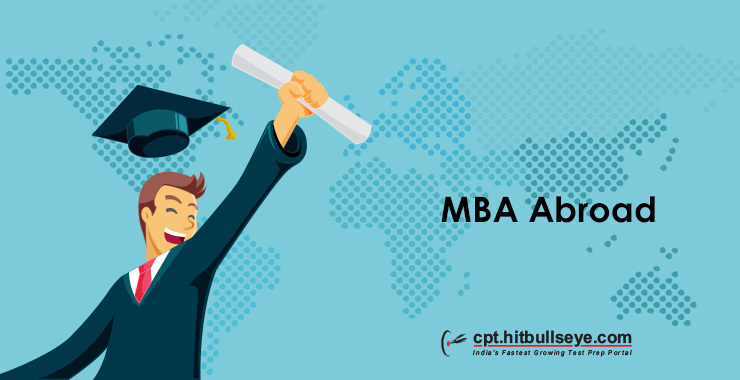 In this post, we will look into the eligibility criteria, entrance exams, and application (evaluation) process for pursuing MBA abroad. We all know that a foreign MBA degree can open up broad spectrum career opportunities. So, no doubt why so many Indian students aspire to pursue MBA abroad. Additionally, in India, it’s also very tough and over-competitive to get into the top MBA colleges. More importantly, a foreign MBA is also more than handy for getting a job abroad. But, why Indian students are crazy about MBA abroad? Why do Indian Students Opt for MBA Abroad? In 2017, more than 200,000 students appeared for the CAT exam in India (Source: India Today). But, the number of MBA seats in the IIMs are just a little more than 4,000. Even someone with 99.7 percentile doesn’t get interview calls from the IIMs. There are few other good MBA colleges in India other than the IIMS such as ISB, XLRI, FMS, SPJIMR, NMIMS and few others. It’s true there are more than 5,000 MBA colleges in India. But, baring the top 40 – 75 colleges, the quality of education and training is not on par. The problem many of the Tier-2/3 MBA colleges in India have is an out-dated curriculum with little relevance to the industry demand. This is one of the key areas where the foreign business schools excel. The second major problem is the lack of industry exposure among MBA students and even the faculty members. So, it’s a no-brainer why Indian students prefer an MBA degree from foreign universities. As of 2016, 81% of Indian participants in the survey by Graduate Management Admission Council (GMAC) said they prefer to study internationally, up from 76% in 2011 (Source: Economic Times). The most basic requirement for pursuing MBA abroad is a Bachelor degree from a recognized university; preferably a full-time degree from a reputed institute. The second major pre-requisite of a foreign MBA is substantial work experience. Although the Indian MBA colleges are not too demanding about work experience (desirable though), the foreign business schools are very serious about the work-ex factor. Why do the Foreign MBA Programs Ask for Work Experience? The foreign universities want to assess your application on the basis of your meritorious achievements, professional accomplishments, and leadership qualities at work, apart from your academic track record and other components (test scores, recommendations etc.). The international business schools look for potential candidates who can add value to their school and also benefit the most from the program. The international MBA programs tend to be a mutual learning experience where each student is able to gain (and provide) significant inputs from/to the peers. A foreign MBA is not just about learning business concepts and theories in the classroom. An international MBA is more practical-oriented and collaborative in nature. A foreign MBA puts much more emphasis on teamwork, real-world business insights, case studies, group projects, role-playing, simulations, case discussions to mention a few. There is no hard and fast rule about the required number of years of work experience. The average work experience of the accepted students at the top international business schools is around 4 – 6 years. However, it’s also possible to get into a top business school with 2 – 3 years of work-ex. Similarly, if you are a fresh graduate with entrepreneurial experience (say a start-up company or an app with millions of downloads) during your college days, you can still make it to a top MBA college abroad. A high GMAT score is definitely desirable. The GMAT score is used as a predictor of your verbal and quantitative ability to manage the workload of an MBA curriculum and an indicator of the likelihood of future academic success. But, a high GMAT score alone is not enough to guarantee admission to a good MBA program abroad. Similarly, an average or low GMAT score does not signify that you cannot get admitted to a top international business school. Many top business schools also accept GRE scores. 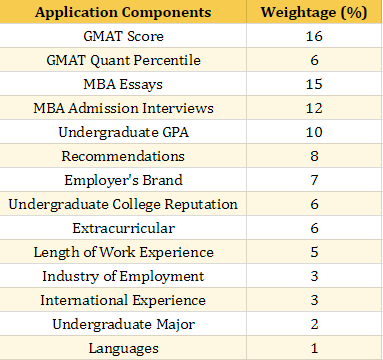 But, a GMAT score is always preferable when it comes to business school applications. Here is the format of GMAT exam. TOEFL or IELTS is needed in order to prove your English language proficiency. Both tests are equally acceptable; and they basically evaluate your speaking, writing, listening and reading skills. Basic information like name, age, qualification, grades, employment details, test scores (entrance exams), language skills (Indian and Foreign Languages like French, German, Spanish, Mandarin Chinese) etc. Ideally, you need to submit a 1/2-page resume. It might sound crazy – one-page CV after substantial work experience. But, that’s the fun part of the application process of MBA abroad. The business schools can ask anything – why MBA, why MBA at this stage of the career, career (or post-MBA) goals, strengths & weakness, what makes you unique etc. Usually, there is a word-limit (200 – 500 words). But, it could be open-ended as well. Why do you want to pursue MBA? Finally, the MBA essays need to be concise and crisp. You need to tell 2/3 important data points in your life (or career) in the form of stories. More often than not, the Indian applicants try to squeeze a lot of detail in the essays. MBA application essay is the most critical component of the MBA application process as it allows applicants to differentiate themselves from the crowd. The essays need a lot of self-introspection, brainstorming, and several rounds of iterations. So, it’s only wise to put serious effort and time on the essays. You need to submit recommendations (either referee details or letters of recommendation) from managers, supervisors, clients, or colleagues who’ve known you well professionally and can talk about various aspects about your skills and potential. Usually, the foreign business schools ask for 2 – 3 recommendations. You have got a spectacular achievement to show from your college days (apart from high grades); you can also have the 3rd recommendation from your undergraduate college (say a faculty member who supervised you). But, two recommendations need to be from your professional contacts. Recommendations provide an external perspective about your area of expertise, skills, capabilities or areas where you excel. 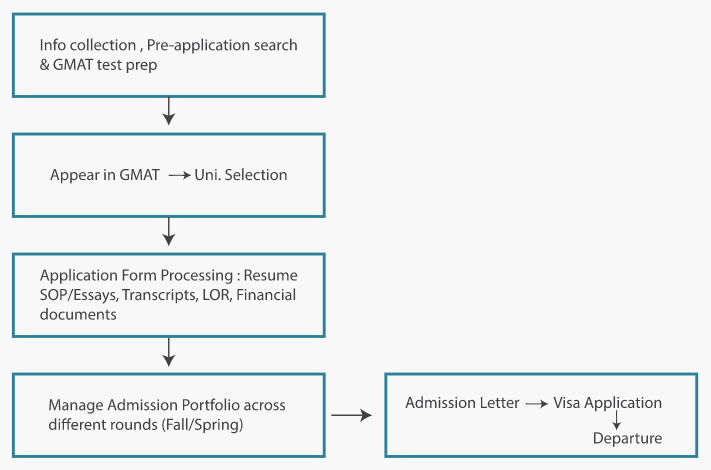 A good recommendation can take your application one level higher, and can also leverage your average GMAT/GPA. Your recommender (referee) should be willing to spare time and put in the required effort. So, your interpersonal relationship with the person matters a lot. The content of the LOR matters more than the designation of your referee. A recommendation from the VP or CEO will not help your application unless you report to them directly, and/or they know you really well. 0 responses on "All You Need to Know About MBA Abroad"